More than 3,700 nominations from organizations of all sizes and in virtually every industry were submitted this year for consideration in a wide range of categories, including Company of the Year, Marketing Campaign of the Year, Best New Product or Service of the Year, Startup of the Year, Corporate Social Responsibility Program of the Year, and Executive of the Year, among others. Stevie Award winners were determined by the average scores of more than 200 executives worldwide who participated in the judging process from May through early August. Resolute’s winning entries highlighted our commitment to balancing the three pillars of sustainability – environmental, social and economic. In the category of Health, Safety & Environment Program of the Year, our entry focused on Resolute’s goal of establishing a “total safety organization,” with a long-term goal of zero incidents and zero injuries at all of our operations. We detailed our proactive approach to safety, which contributed to a 22% reduction in total recordable injuries in 2014 compared to 2013, the implementation of a near-miss reporting and hazard identification system as well as several innovations to provide our employees with the best possible protective gear. For the first time in 2015, the IBAs included the Woman of the Year category, recognizing the achievements of women in the workplace since the beginning of 2014. Pascale Lagacé, Resolute’s Vice President of Environment and Climate Change, was nominated in an application that detailed her tremendous achievements in promoting sustainability at Resolute, including a 70% reduction of absolute scope 1 and 2 greenhouse gas emissions over a 2000 baseline, a 19% reduction in environmental incidents in 2014 over a 2013 baseline and the certification of nearly all facility environmental management systems to the ISO-14001 standard. 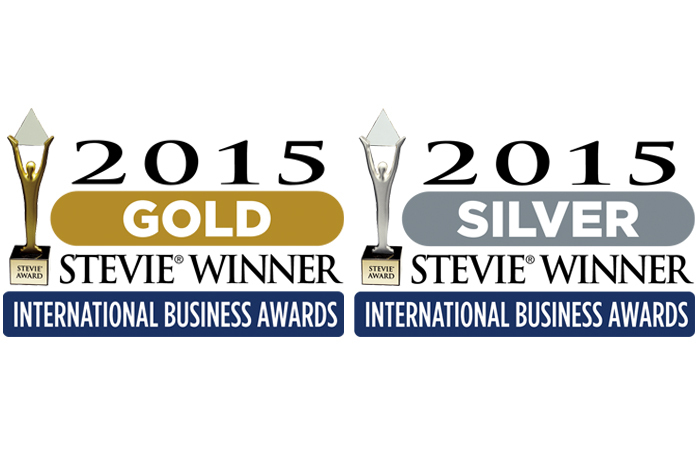 For the complete lists of Gold, Silver and Bronze Stevie Award winners by category visit the IBA website at www.StevieAwards.com/IBA.